(re)work provided interior design services for the nursery of an expecting couple. (re)work created space that was colorful and whimsical, yet sophisticated. 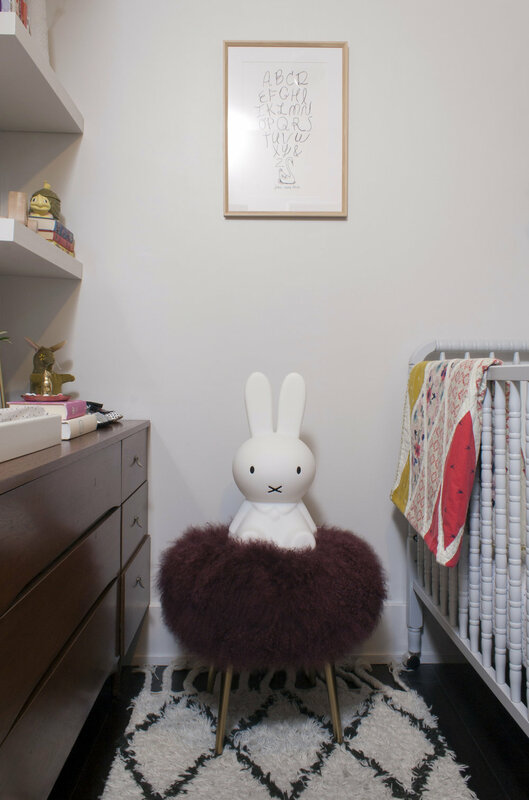 The room was designed to be a space that the baby could grow up in, so it avoided the use of pink walls and cutesy decorations that are common in nurseries. The room is centered around a floral mural, which was inspired by a Rifle Paper Co. print, and created by a local artist. Neutral furnishings were selected to highlight the mural, and brass accents tie the space together.